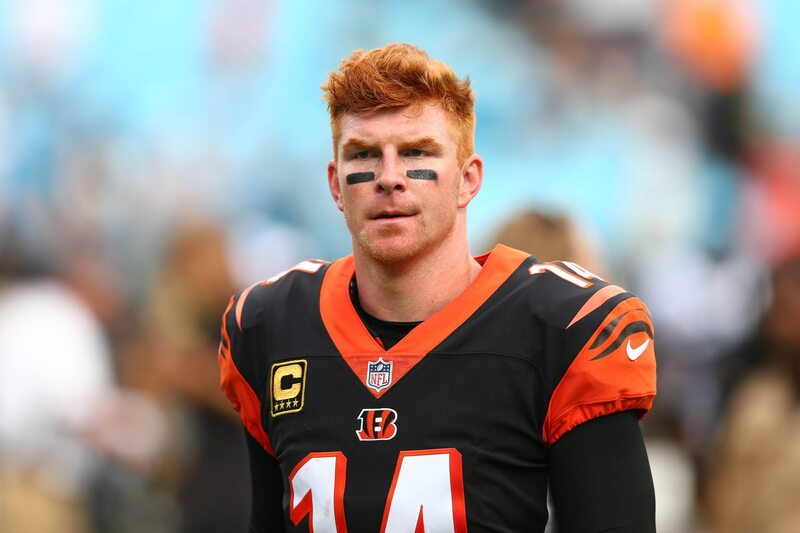 Andy Dalton returning to the Bengals next season? It’s certainly a time of change in Cincinnati. With new Bengals head coach Zac Taylor set to take over once his Rams compete in the Super Bowl, said changes are seemingly set to start at quarterback. Longtime starter Andy Dalton is coming off an injury-plagued 2018 campaign that saw him miss the final five games to injury. The quarterback has also struggled big time in recent seasons — leading to speculation that Cincinnati will look in another direction. The report also went on to note that multiple individuals who interviewed for the head-coaching vacancy expressed confidence in Dalton. What exactly does this mean? Let’s take a gander. There’s a financial component to it: The Bengals are happy with Dalton’s contract. Dalton has two years remaining with a combined $33.9 million cap hit. That averages out to less than $17 million per season. His $16.2 milllion cap hit ranks 23rd among quarterbacks for next season. A notoriously cheap franchise, this represents a boon for the Bengals. Cincinnati can get out of Dalton’s contract each of the next two offseasons without paying a dead cap hit. That gives the team more flexibility. Other options aren’t too great: Dalton might struggle, but there aren’t a ton of great alternatives. Cincinnati has been linked to Miami Dolphins quarterback Ryan Tannehill. He has a relationship with Taylor — dating back to their college day. But is Tannehill an upgrade over Dalton? We’re no too sure. Other options include the likes of Teddy Bridgewater and Blake Bortles in free agency. Reigning Super Bowl MVP Nick Foles is also an option on the trade market. But that would cost a pretty penny. Go quarterback in the draft: Cincinnati can look for a signal caller of the future in April. In no way does this mean that the Bengals don’t need a bridge quarterback. Based on market dynamic and inflating quarterback contracts, Dalton could be the best possible bridge. Selecting 11th overall, there’s a decent chance the draft’s two-best quarterbacks — Dwayne Haskins and Kyler Murray — will be off the board. If that were to happen, Cincinnati might be forced to reach for either Drew Lock and Daniel Jones. That’s not an ideal scenario.